Globular star cluster Messier 53 (M53, NGC 5024) is one of the more outlying globulars. According to Recio-Blanco et al. (2005), the distance of M53 is 61 270 light years making it one of the more distant globulars of the Milky Way Galaxy. At this distance, its apparent angular diameter of 13' corresponds to a linear diameter of roughly 230 light years. As in all globular clusters, the stars of M53 are apparently "metal-poor", which means that they contain only little quantities of elements heavier than helium. Most of the stars in M53 are older and redder than our Sun, but some enigmatic stars appear to be bluer and younger. 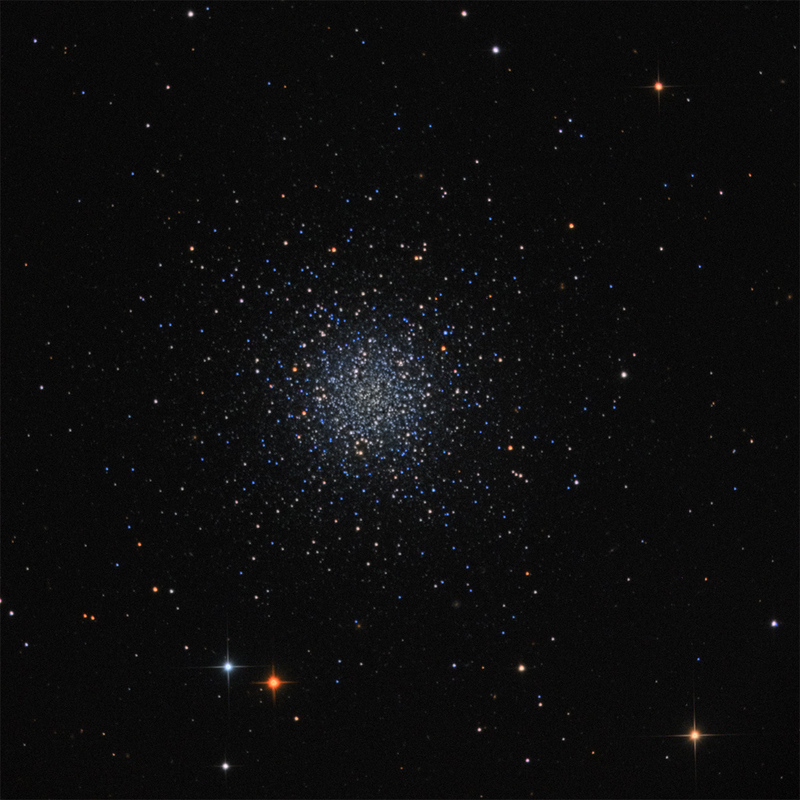 M53 contains the considerably respectable number of 47 known RR Lyrae variables, some of them were reported to have changed their periods irreversibly with time.